New Mexico’s capital offers culture, history, a vibrant culinary scene and outdoor pursuits such as hiking and skiing. SANTA FE, N.M. — Nestled at the base of the Sangre de Cristo Mountains and surrounded by acres of desolate beauty, Santa Fe often surprises first-time visitors with its wealth of offerings, from culture, history and a vibrant culinary scene to outdoor pursuits such as hiking and skiing. 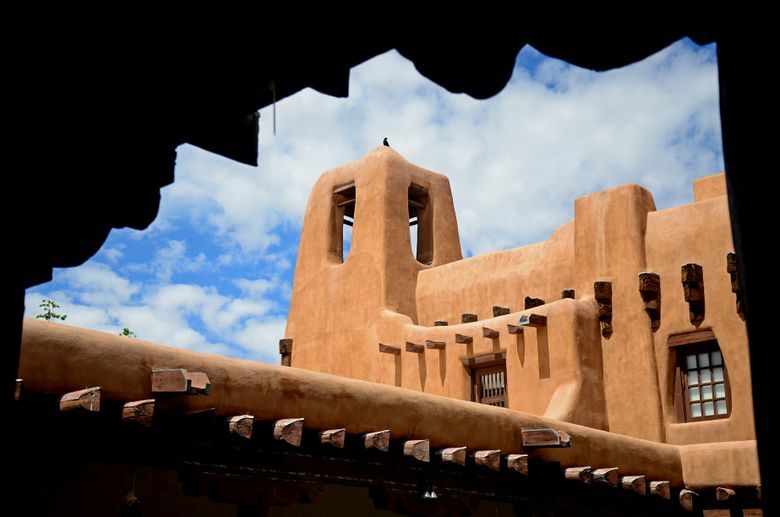 Settled by the Spanish in the early 1600s, Santa Fe is the oldest capital city in the U.S. It nurtures links to its rich history and to its blend of Native American, Latino and Anglo cultures. Even the newest buildings pay homage to the city’s past. Averaging 325 days of sun a year, the area has long been a magnet for photographers and artists. The landscape’s shades of red, orange and brown shift throughout the day, providing a different perspective almost by the hour. Santa Fe’s flourishing art community is most vibrantly expressed in the historic district along Canyon Road, a roughly half-mile stretch lined with galleries and studios. The works cross virtually every genre, from paintings and drawings by early artists of the region to Allan Houser’s huge sculptures and modern composite pieces that look like origami. A stroll down Canyon Road is like taking a free walk through one of the world’s most diverse art museums, and much of it is outdoors. On a mesa above Canyon Road is another don’t-miss art destination: Museum Hill, the only one of the city’s art destinations not within easy walking distance of downtown. A free shuttle takes visitors from downtown for the 2.5-mile ride to the Museum Hill campus. 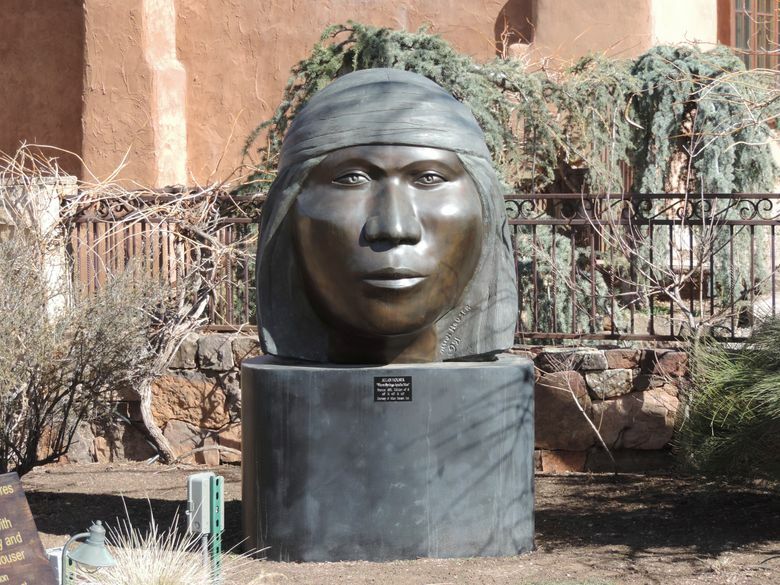 In addition to numerous outdoor sculptures, Museum Hill is home to four different art institutions: The Museum of Spanish Colonial Art, the Wheelwright Museum of the American Indian, the Museum of International Folk Art and the Museum of Indian Arts & Culture. All are worth seeing, but I found Wheelwright to be the most intriguing because of its focus on contemporary Native American works. Back in town, don’t miss the Georgia O’Keeffe Museum. The collection includes 140 oil paintings by the innovative artist, who often used the landscapes and desert skies of northern New Mexico as her muse. Those more interested in history than art will want to start with the San Miguel Mission, the oldest church in the U.S. Originally built in 1610, much of the structure was destroyed in an uprising 70 years later, then rebuilt in 1692. The church contains several art pieces dating to the 17th and 18th centuries. The Palace of the Governors, the oldest continuously operating public building in the country, now houses the New Mexico History Museum. It was built in the early 17th century to be the seat of government for the Spanish regime. The museum provides a great overview of the region’s history. If walking among the galleries and museums isn’t enough exercise, winter visitors can hit the slopes at Ski Santa Fe, just 16 miles from the heart of the city. Purchased in 1984 by Ben Abruzzo, Ski Santa Fe is still family-owned and run by his children. It features 79 trails spread across 660 acres of skiable terrain, with a base elevation of 10,300 feet and a peak of 12,000 feet. It’s a day-skiing destination, with no hotel at the base. A city bus can take skiers to the mountain for $5 each way. Ski Santa Fe is something of a “throwback” ski area — the small base lodge has a cafeteria, but people can bring in their own food, too. The only bar isn’t at the base lodge; it’s 500 yards up the mountain, which provides rolling, groomed terrain with a few steep mogul runs and fine glade runs. The trails are rated 20 percent beginner, 40 percent intermediate and 40 percent expert, but I think some of the expert trails are really tougher intermediates. After working up an appetite, pick from more than 200 Santa Fe restaurants, ranging from barbecue and Tex-Mex to sushi and haute cuisine. Among the most iconic spots is Tomasita’s (tomasitas.com). Located in a century-old former railway station, the kitchen has been turning out traditional northern New Mexico food for more than 40 years. Management says many of the recipes are older than the restaurant. Reservations aren’t accepted, so expect to stand in line on weekends. Another veteran of the dining scene is The Compound (compoundrestaurant.com), which celebrated its 50th anniversary in July. James Beard Award-winning chef Mark Kiffin elevates Southwestern cuisine with brilliant, bold flavors tempered with subtle use of herbs and spice. Visitors wanting to learn more about the flavors of New Mexico can enroll in one of city’s numerous cooking-school classes. The Santa Fe School of Cooking (santafeschoolofcooking.com) offers a variety of workshops, where I got to try my hand at making tamales and salsa. Even more interesting was a lecture by school instructor Lois Ellen Frank, a chef and food anthropologist. If you need something to drink with all that food, check out Santa Fe Spirits’ (santafespirits.com) tasting room. Owner Colin Keegan’s distillery produces such diverse drinks as a smoked gin liqueur and an apple brandy made from northern New Mexico apples. A tipple of that unique brandy proves that the distiller’s art is yet one more facet of the city’s creative side. Just don’t be surprised if it goes straight to your head. 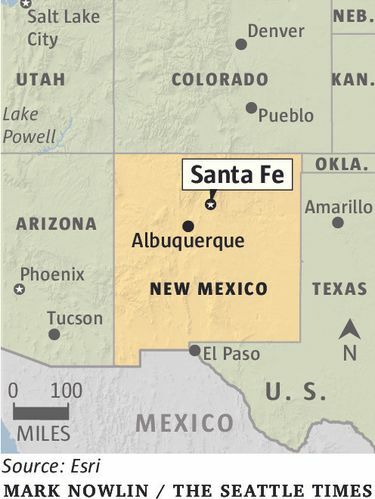 Santa Fe is also the country’s highest capital, at 7,000-plus feet.